This adorable crib set was fun to make. The set includes: a fitted sheet, a bumper, a comforter, a dust ruffle, a window valence and a set of rocker cushion covers. 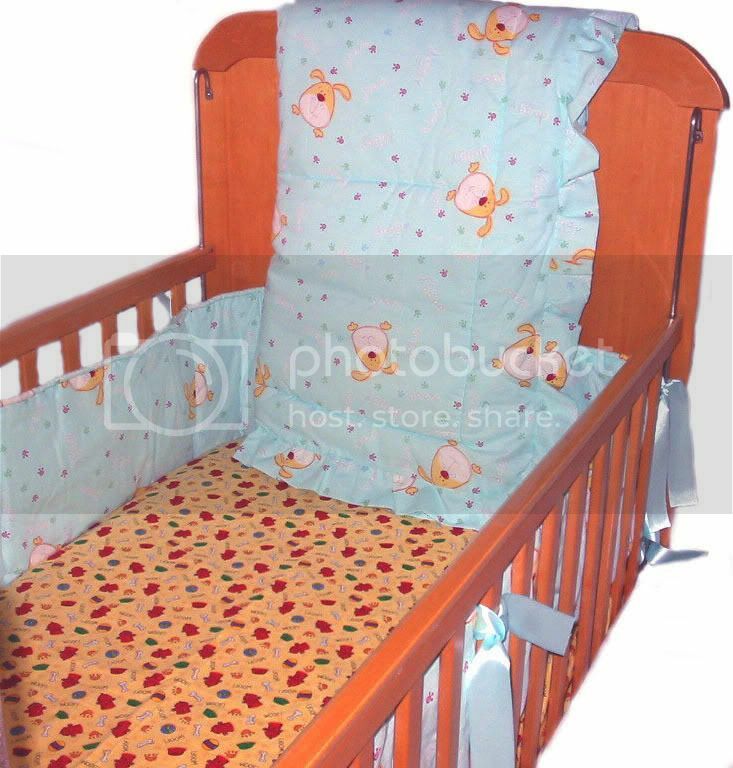 The crib set theme suggests that baby and parents love puppies. Prints of puppy paws decorate the comforter, bumper and fitted sheet... Very cute!